Have you started decorating for Valentine's day? Do you decorate for Valentine's day? I don't do too much, but I did decorate my mantel. 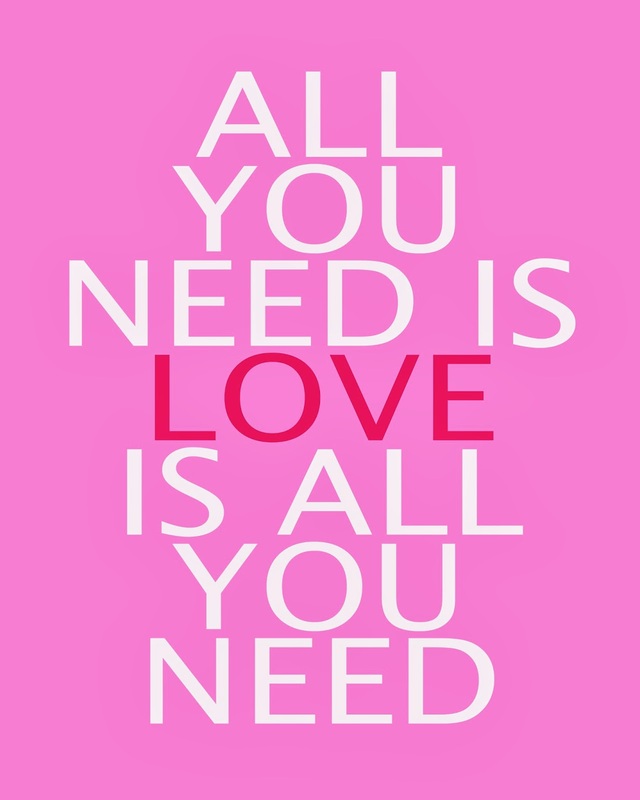 I made an 'All You Need Is Love' print because I love The Beatles and it's the perfect phrase for Valentines. I had an 8 x 10 print, printed at Costco and framed it in an 11 x 14 frame. Download the free print here. I also bought a cardboard X and O and painted them red and pink for hugs and kisses. I used some of the bottles and vases from years past for other miscellaneous items on the mantel as well. Use what you have!